Find your next MIDI controller easily ! Very well designed website and extremely helpful entirely dedicated to MIDI controllers. 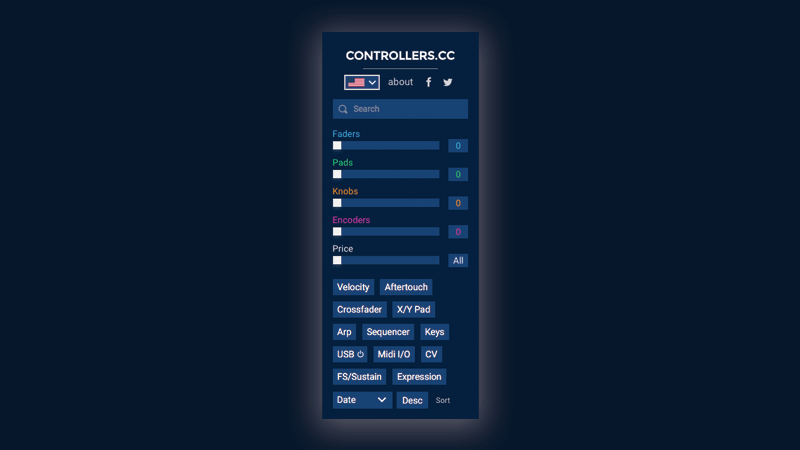 Thanks to Controller.cc, the nightmare is over, select the necessary options and the website automatically presents you with a selection of MIDI controllers tailored to your search.